It has been a long road for the film adaptation of the critically acclaimed comic series Y: The Last Man, but it finally looks like things are starting to progress. Dan Trachtenberg has been announced as the director of New Line Cinema’s feature film version of the award winning series by Brian K. Vaughan and Pia Guerra. A commercial director, Trachtenberg was the co-host of The Totally Rad Show alongside Jeff Cannata and the Nerdist Channel’s Alex Albrecht. He also gained viral fame for his fan-made trailer for Portal: No Escape, which has more than 11.6 million hits on YouTube. You can check that out after the break. 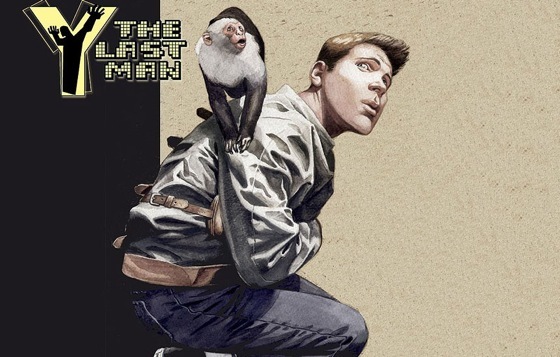 For anyone who hasn’t experienced this fantastic comic, Y: The Last Man takes place in a not too distant future where a mysterious plague has killed every male mammal on Earth except for a snarky amateur magician, Yorick, and his pet monkey, Ampersand. The series won five Eisner awards and has been become beloved among the comic and literature communities alike. In addition to Trachtenberg behind the camera, the movie adaptation has a script by Matthew Federman & Stephen Scaia. We can only hope everyone involved can do this epic story justice on the big screen. Y: The Last Man is one of the great comic book stories of the early 21st century. It details the adventures of Yorick Brown, the last man in a world where all of the males in every species were wiped out all in one terrifying moment. What made Brian K. Vaughan’s masterwork so good was his characters. The women in this post-man world were complex, well-rounded and often expertly crafted. Everyone had a motivation and they all felt natural for this hyper-real situation they found themselves. The story has been floating around Hollywood for quite some time, but can never seem to find the proper traction to move forward. So leave it to the internet to fill a void while the studios twiddle their thumbs. Y: The Last Man Rising is a fan made film that sets up, loosely, the world of Y. It acts almost as a pilot, setting up several aspects of the larger story as opposed to telling a single Y tale. The production is rather impressive for a fan project, and most of the cast seems to channel their characters extremely well. Check out the full fan film after the jump.